Stormtrooper cake progress update! 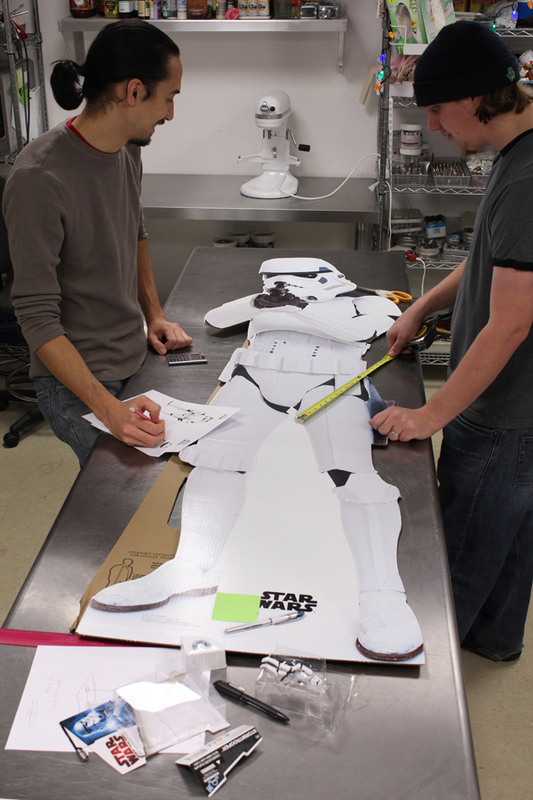 For those of you who haven’t heard yet, we are making a life-size Stormtrooper out of cake. It will be on display (and for eating) next week Jan 13th and 14th at Arisia Sci-Fi Convention at the Westin Waterfront Hotel in Downtown Boston. Here’s a couple photos of our progress so far. 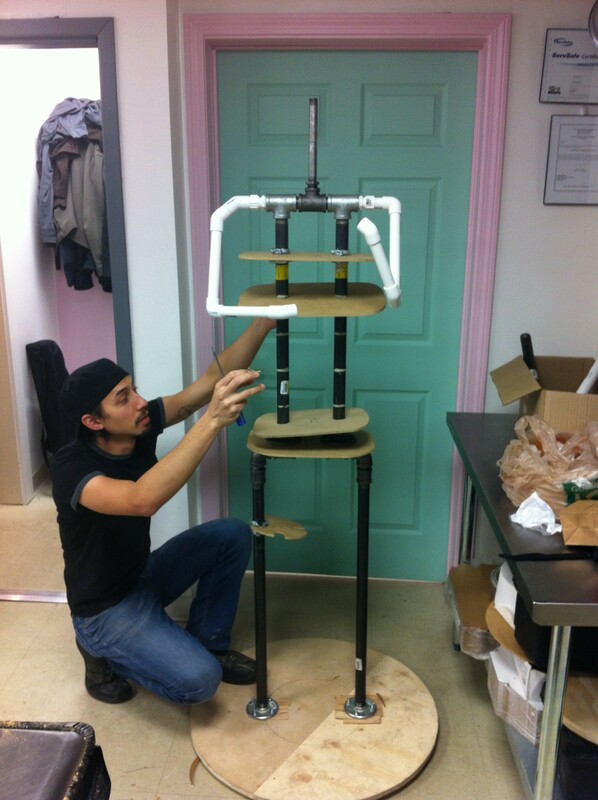 Here is his skeleton so far.